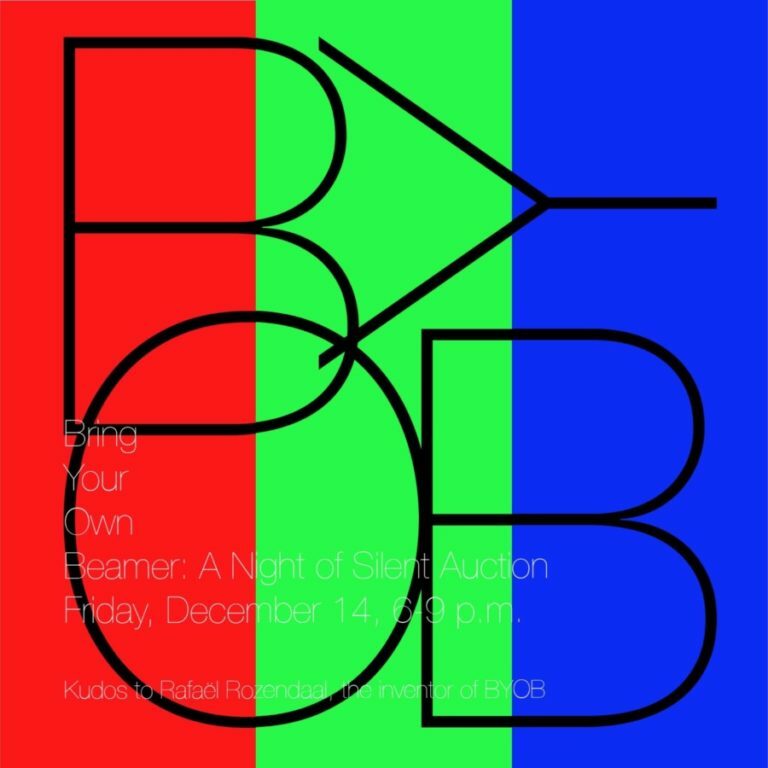 Bring Your Own Beamer: A Night of Silent Auction is happening this Friday, December 14th, 6-9 p.m.! Artists will list their starting and buyout prices. All first sale profits go to the artists; LITHIUM will charge a $10 fee for every sale to cover material costs. Your purchase will come in a LITHIUM Editioned USB & gift box. This public event will be another iteration of BYOB–a form of projection-based exhibition brilliantly invented by artist Rafaël Rozendaal–adapted into both a holiday celebration and a silent auction. This one-night auction aims to support local artists working in time-based art.